Lapa is a neighborhood famous for its Bohemian culture. It is well known for its architecture, the most famous monument being the Arcos da Lapa. The Passeio Publico is the first public park built in the city, which is another popular attraction of the neighborhood. Lapa is known for its lively social scene and cultural events. 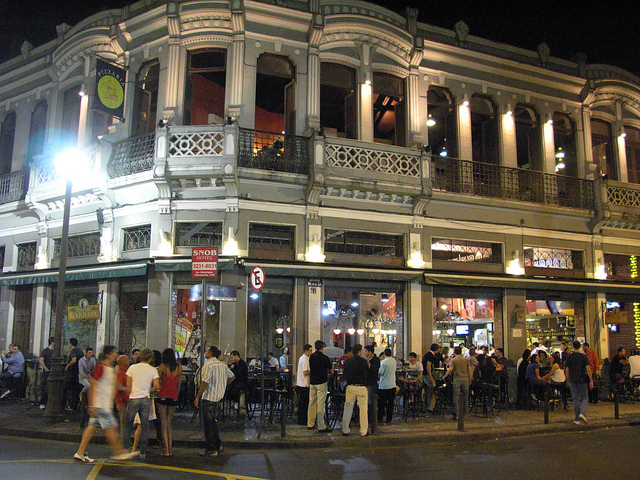 The neighborhood has many restaurants and bars thus enabling Brazilian artists and intellectuals to meet and socialize. Many of these restaurants and clubs promote various forms of Brazilian music. The Sala Cecília Meirelles, an important venue for chamber music is also located in Lapa. The movement “I Am da Lapa” helped in the restoration of the neighborhood. With government support and active participation from the citizens, especially shop owners, great achievements in the development of the area have been made. The police have managed to control crime rates in the neighborhood, making it safe for tourists and local residents as well. Lapa is located in the centre of Rio at the foot of Arcos da Lapa. 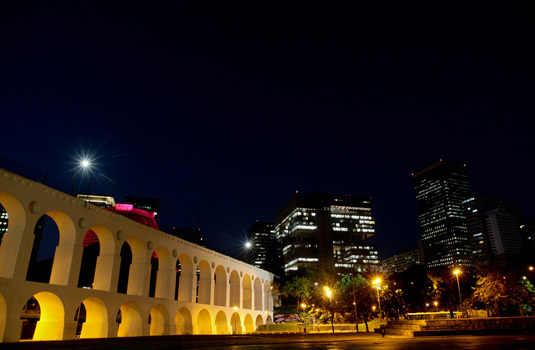 Arcos da Lapa, otherwise known as Carioca Aqueduct, is the most famous monument in Lapa. This roman style structure is 270 meters long and 17.6 meters high. There are 42 arches that connect the neighborhood of Santa Teresa to Morro de Santo Antonio. The Carioca aqueduct was built in 1723 during the colonial era to lead water from the Carioca River to Morro de Santo Antonio. This was to solve the water shortage problem. 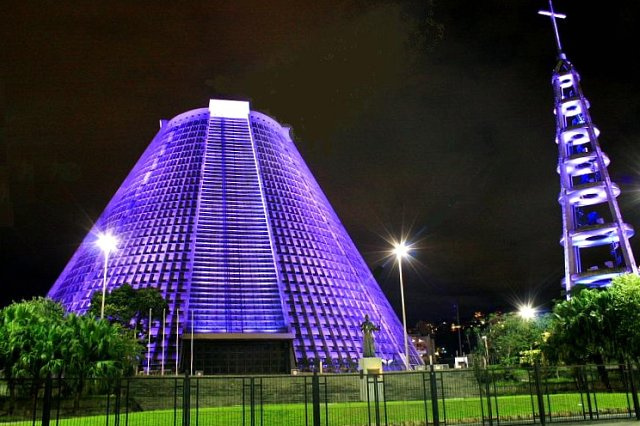 The monument is surrounded by the Metropolitan Cathedral, Fundição Progresso, Sala Cecília Meirelles, a couple of top samba halls and other points of interest so a visit here can enable you to make the most of these other interesting attractions as well. A streetcar links Lapa to Santa Teresa. The Metropolitan Cathedral is definitely worth visiting. Built between 1964 to 1979, the cathedral stands 80 meters high and can house around 20,000 people. The Sacred Art Museum and the Bank of Providence are also located here. The culture of Lapa is exciting. It has played host to several intellectuals, artists politicians and especially the citizens of Rio, who gather together to celebrate the samba, forró, MPB, electronic music, rock and much more. Mem de Sá, Rua do Riachuelo Street and Lavradio are the major streets in this neighborhood. The Sala Cecilia Meireles is considered to be the best concert of chamber music in Rio so do try to catch it. If you want to see some more examples of old architecture in Rio then the Public Promenade, the National School of Music and the Church of Our Lady of Lapa do Desterro are perfect choices. The theater situated at Largo da Lapa 47 is a historical landmark of Rio. Sala Cecilia Meireles was built in memory of Cecilia Meireles, a Brazilian poet and journalist. You can catch live performances by well known and budding artists and performers since it has established itself as one of the most important venues for chamber music in the city. The beautiful architecture of the auditorium sets the tone for every chamber music performance that it hosts. 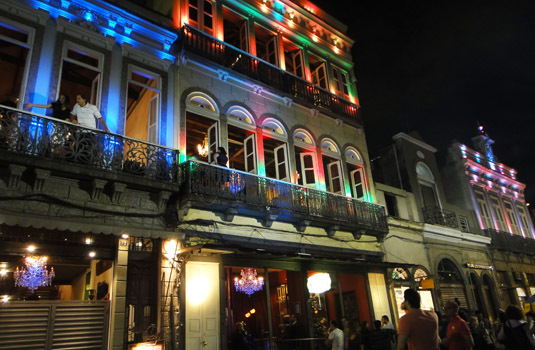 Nightlife in Lapa is colorful, varied and as vibrant as ever. Rio Scenarium is the most popular bar in Lapa and even in Rio. The bar is particularly popular with tourists and plays great Brazilian music. The spacious venue is spread over three floors. The bar is so popular that you can’t let go of your table for too long in order to dance otherwise you might lose it to other eager customers. It is better to make a reservation or else you might end up waiting in line for most of the night. Belmonte, Taberna, Buteko juca and Arco Iris are other popular bars in this area. Carioca da Gema is a popular eating spot and bar frequented by the locals so you are guaranteed to get good, authentic carioca cuisine, so be sure to drop in. Asa Branca is among the most popular nightclubs. The club specializes in forro music where many famous artists have performed. Carioca da Gema specializes in samba music. Lapa 40 plays samba, choro and gaff music. Progress and Casting Flying Circus, are two clubs that cater to modern tastes with electronic music and rock concerts. For a taste of authentic Portuguese cuisine, the perfect place to drop by for late night food and drinks after some hard partying, is Cosmopolita. This restaurant offers plenty of outdoor seating so that you can enjoy the atmosphere along with your food. The cocktail menu is extremely popular so be sure to try some of the outrageous combinations. Restaurante Ernesto offers a menu of traditional favorites and contemporary cuisine. The décor is warm and cozy and the service is efficient. The restaurant also features live music. 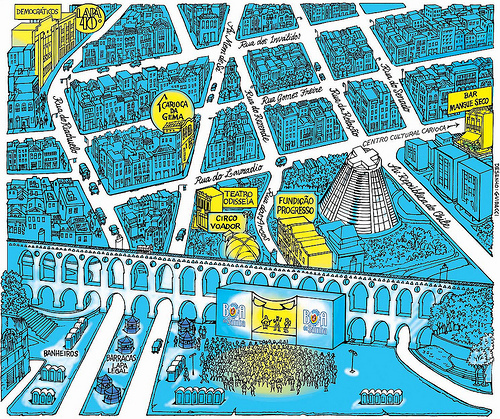 Rua Lavradio is the first street to be built in Rio and houses a host of bars and restaurants which serve good food. Therefore, it would be prudent to stroll along this street and pick a restaurant that appeals to you.